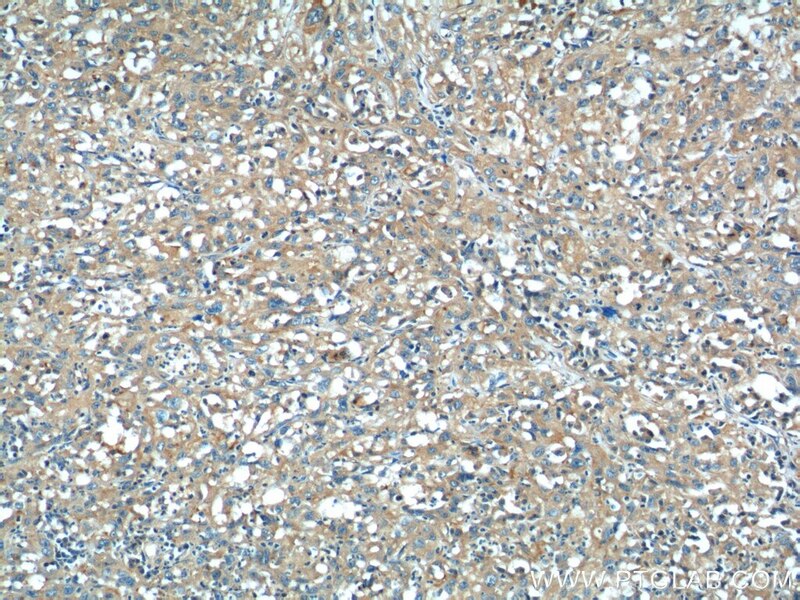 WB results of CEP164 (22227-1-AP, 1:500) with RPE1 cells by Laboratory of Protein Dynamics and Signaling; Center for Cancer Research, National Cancer Institute. 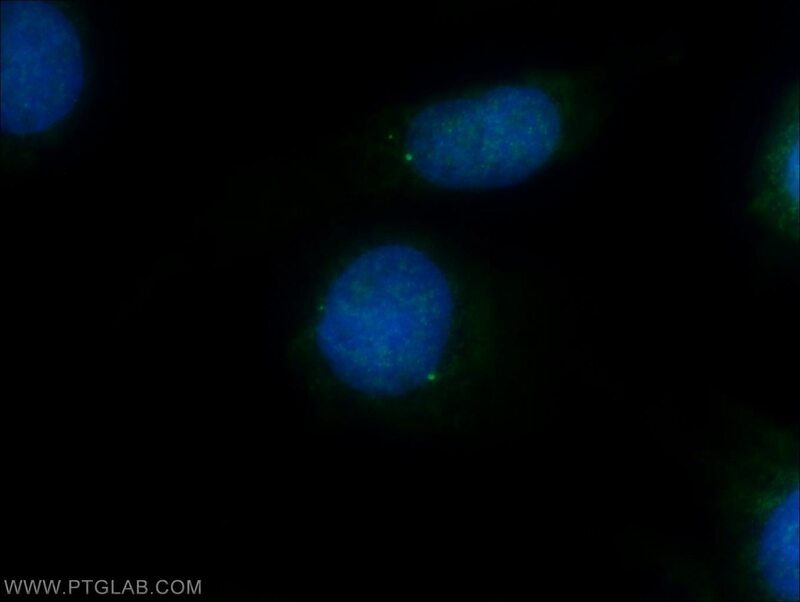 IF results of CEP164 (22227-1-AP, 1:1000) with HeLa cells (1.5% formaldehyde, 10 min RT) by Laboratory of Protein Dynamics and Signaling; Center for Cancer Research, National Cancer Institute. 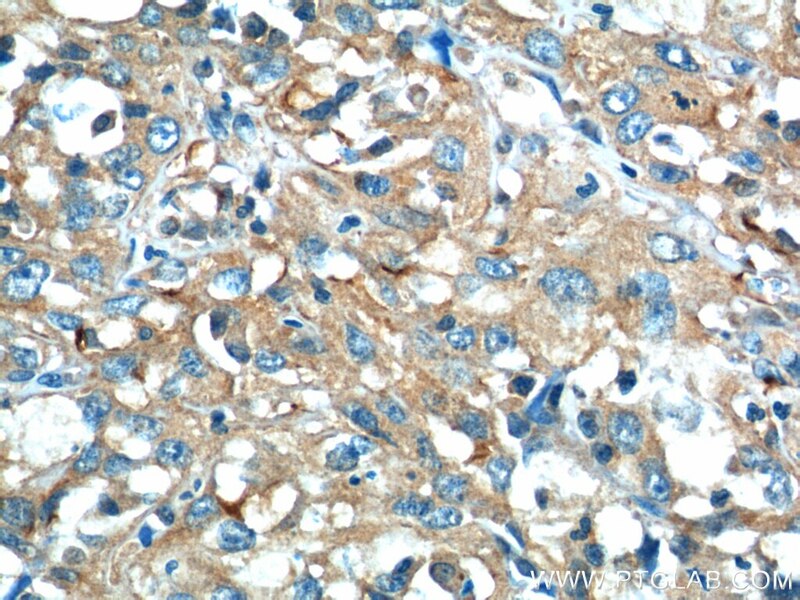 CEP164, also named as KIAA1052 or NPHP15, is a 1460 amino acid protein, which contains 1 WW domain. CEP164 localizes in the microtubule organizing center and is expressed in several cell lines. 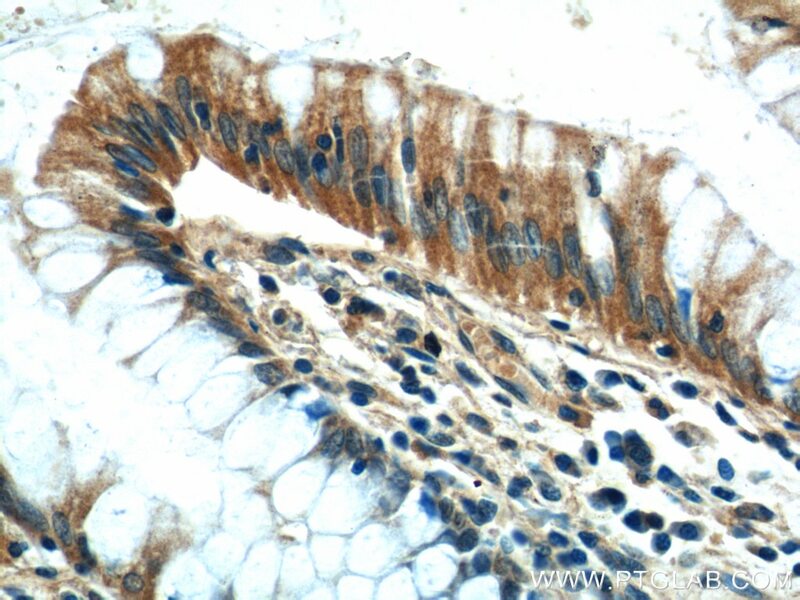 CEP164 plays a role in microtubule organization and/or maintenance for the formation of primary cilia, a microtubule-based structure that protrudes from the surface of epithelial cells. 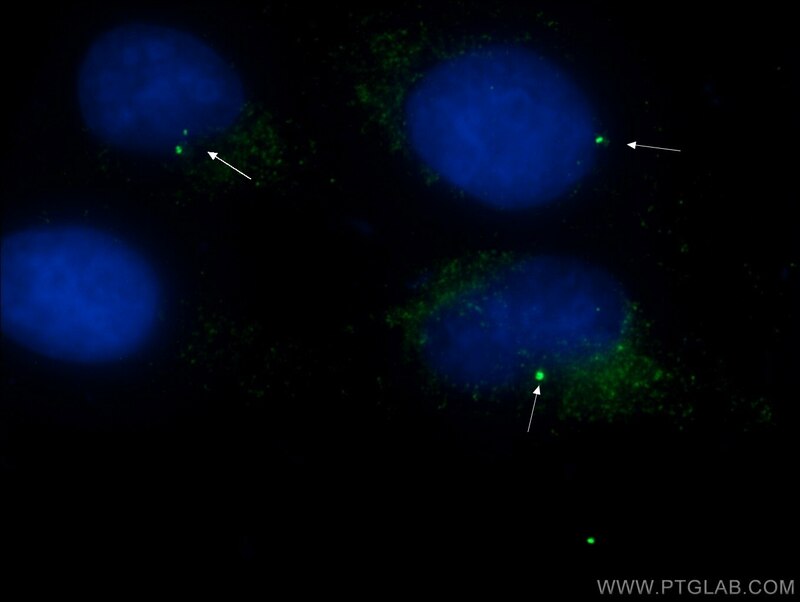 CEP164 plays a critical role in G2/M checkpoint and nuclear divisions. 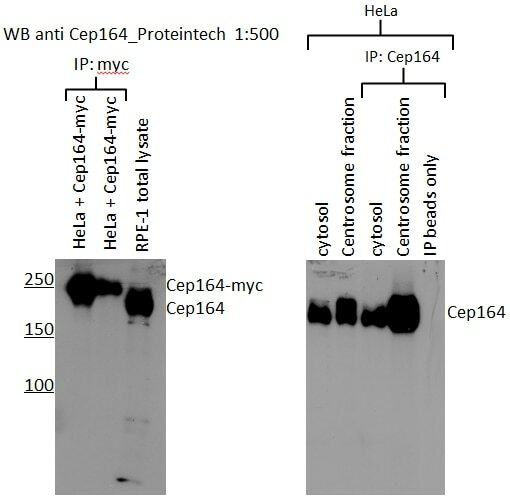 The expression of CEP164 is normally limited to the mother centriole, and CEP164 can be used as a useful marker for mother centriole. TALPID3 controls centrosome and cell polarity and the human ortholog KIAA0586 is mutated in Joubert syndrome (JBTS23). 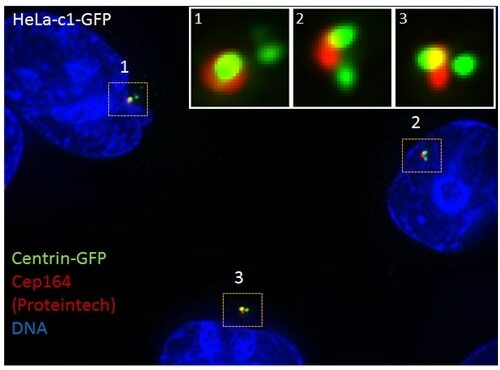 DNA replication licensing factor Cdc6 and Plk4 kinase antagonistically regulate centrosome duplication via Sas-6. 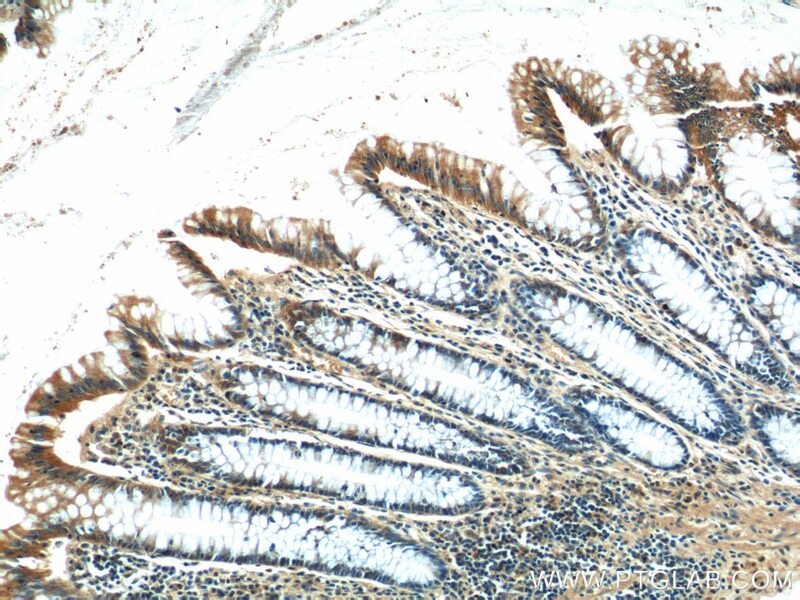 Glucose deprivation induces primary cilium formation through mTORC1 inactivation.